Below you can view all the homes for sale in the Vinings Cove subdivision located in Mableton Georgia. 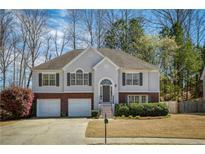 Listings in Vinings Cove are updated daily from data we receive from the Atlanta multiple listing service. To learn more about any of these homes or to receive custom notifications when a new property is listed for sale in Vinings Cove, give us a call at 404-998-4102. New Garbage Disposal, New Thermostat And New Roof!! ! MLS#6531152. Berkshire Hathaway Homeservices Georgia Properties. You Are Close To Everything: Hartsfield, Atlanta, Suntrust Park Etc. MLS#6528951. Harry Norman Realtors. Seller Offering Paint Allowance, So You Can Pick Your Own Colors! MLS#6523559. Mark Spain Real Estate. Swim/Tennis Comm W/Playground. Close To Whitefield Academy! MLS#6517706. Jwc Real Estate, Llc.. There Is Additional Storage Space/Cabinets In The Garage That Will Stay With The Home. MLS#6512275. Atlanta Communities.